THE NEW CZARS – Releasing on September 14, 2010, on Samson Records, is Doomsday Revolution, the debut album from The New Czars, which electrifies with an approach to making diverse and Heavy Music coexist together. 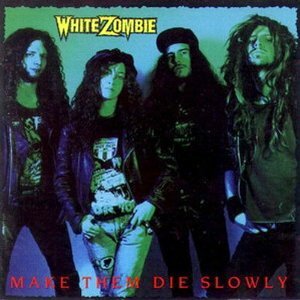 To say that Doomsday Revolution is a storm cloud of Modern Rock/Hard Rock can be another way to describe this album. 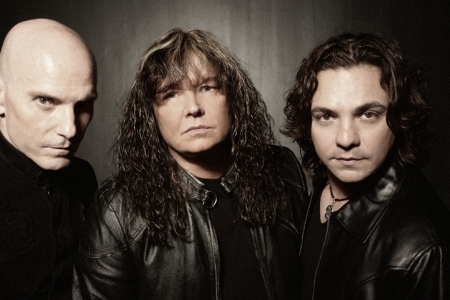 When a new Hard Rock or Heavy Metal band dares to be original, it’s like an anomaly these days. Doomsday Revolution does mix it up well with moments of Hard, Heavy and Industrial Rock. The New Czars take their mixed bag of music experience and do deliver a debut album that steers away from any same old mentality. The New Czars do dare and succeed to set themselves away from the rest of the pack and that alone deserves a hell raising horns to the air. Regardless if The New Czars are a new band unto the world of Heavy Music, these are seasoned and talented musicians all the same. 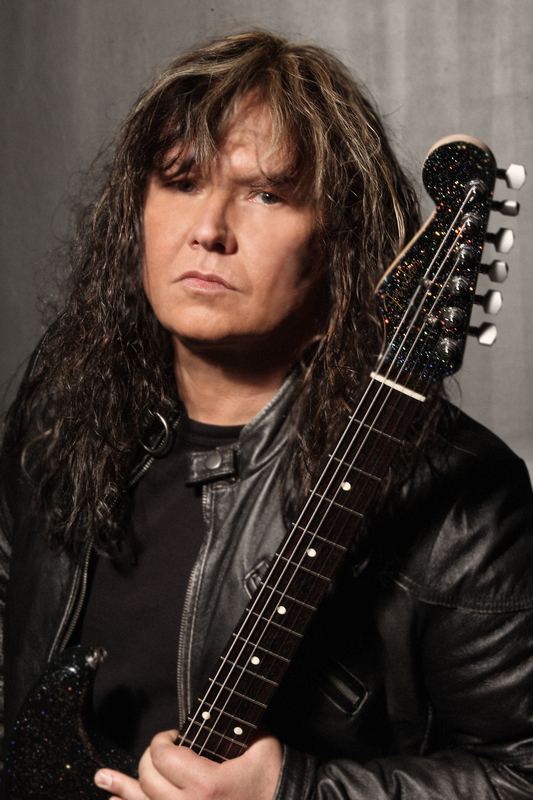 Greg Hampton, is no stranger to the Rock Music industry. Greg is the lead vocalist, guitarist, songwriter, lyricist and producer for Doomsday Revolution and he comes packing with impressive Rock ‘N’ Roll credentials. With wearing so many “hats” in getting this album to it’s final pressing, I can only marvel at the true spirit of Rock ‘N’ Roll Greg Hampton possesses. 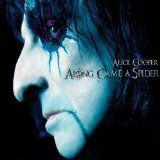 Greg Hampton was a lead guitarist and songwriter for Alice Cooper’s concept album Along Came A Spider, as well as playing bass and keyboards amongst a variety of other things, on this macabre masterpiece from 2008. 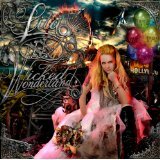 Greg also co-produced, mixed and played various instruments on Lita Ford’s 2009 comeback album – Wicked Wonderland. Greg, as with his band mates Paul Ill (bass) and David “Chilli” Moreno (drums), sound as if they have been doing this gig together for quite some time… only this is their debut album and three is not a crowd. Let’s throw in the fact that a Rock Music legend, the likes of Adrian Belew of King Crimson fame, lends contributions to Doomsday Revolution on guitar and the credibility factor and peer respect for The New Czars only becomes more admirably real. It’s the blue collar and do-it-yourself Rock musicians that give rise to and/or expand on a non-trendy sound and vision, in which they want to share with the rest of the Rock community. Greg and his band The New Czars are doing just that with Doomsday Revolution, without any flirtation with the flavor of the month society. Doomsday Revolution unwraps it’s heavy side with the Industrial edginess from Keep On Goin’. The hardened vocals and guitar licks of Greg Hampton simultaneously keeps this song moving at an addicting tempo. If this opening track is any indication of the music prowess that The New Czars are intending on releasing unto thine ears… then one best get ready. There are so many more muscular riffs, leads and solos to follow from Greg’s guitar throughout this album. No song style on Doomsday Revolution is immune from the imagination of his guitar playing. Confessions takes right over where keep on goin’ left off, with an almost maddeningly loud vibe that rises from this song. I envision a full scale implosion of my decades old stereo speakers, at any moment, while this song is being cranked to high. The New Czars are not all about full-throttle and face to the pavement heaviness on Doomsday Revolution. Why Do U Have 2 Lie exhibits Greg Hampton vocally toning things down, amidst a mid-tempo Hard Rock swirl of sound. The old adage of “less is more” holds true with the lyrics of Why Do U Have 2 Lie, showing lyrics can be emotional and smart by not saying too much. Time Stops is an unexpected surprise on this album. Another mid-tempo ballad, Greg Hampton proves he can croon with a David Coverdale like accessibility. Melodic and hooky, Time Stops also incorporates a sitar for some Eastern World ambiance. The guitar solo more than helps Time Stops to stray away from feeling like a ballad, which is just another amazing musical element to an already amazing song. Don’t Watch Me showcases some exemplary drumming from David “Chilli” Moreno, with spastic drum fills that coincide perfectly to this song’s anxiety filled lyrics. Greg Hampton let’s it all loose vocally, making Don’t Watch Me sound as an angst filled memoir from a paranoid soul. What separates Greg Hampton from being just another Heavy Music vocalist is his ability to adapt to a song’s theme, turning on and off degrees of emotion in his voice, in such a fantastic way it’s borderline uncanny. The title track, Doomsday Revolution takes no prisoners with it’s Hard and Heavy Industrial mayhem, which comes across as The New Czars answer to their version of an anthem. 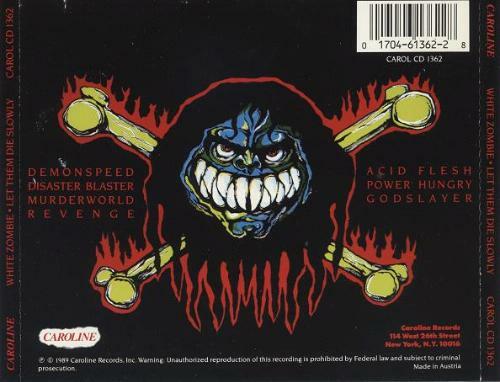 Trust me, the chorus on Doomsday Revolution alone is enough to get the adrenaline pumping up the psyche-out meter. Only Dreaming is another ballad stopover, this time around the tempo is slow and unsuspectingly alluring. Greg Hampton could very well shun off the Hard Rock & Metal Gods and make his fortune as an unplugged crooner… only this is a musician who seems to revel in his Rock ‘N’ Roll diversity more than anything else and revel he should. With 16 songs to digest on Doomsday Revolution, there are no dull moments. How could there be with such a fortified stack of diverse songs such as this? Be it Industrial, Rock, Hard Rock or slivers of Traditional Metal, you will hear it on this album. Just don’t stray too far away… for the Alternative and Electronica bug will be poking you on the back from the likes of Funky Detour. Yes… there is a “Funky” vibe happening within this song that sneaks and swirls it’s way through with subtle ease. Obviously, I walk away with the impression that Greg Hampton strategically sandwiched himself between two skillful and time tested players in bass guitarist Paul Ill and drummer David “Chilli” Moreno. As it is in the world of professional sports teams… your only as good as your players and The New Czars have come to play. I can’t resist to mention, that to my Metal ears, I can hear somewhat of an Ian Gillian poise and swagger in the vocals of Greg Hampton. A personal interpretation to the fullest extent of course, so convict me for being a lifelong fan of quality Rock vocalists and hearing what I do. I conclude, that after several thorough listens to Doomsday Revolution, I feel compelled to put Greg Hampton on the list of today’s current quality vocalists. To overlook Greg’s guitar play would be a travesty… really, he is that good. If ever there was a surefire flag bearer for Music Appreciation 101, then it is Greg Hampton and his band The New Czars. Don’t be afraid to take chances, is what we are all taught from an early age. 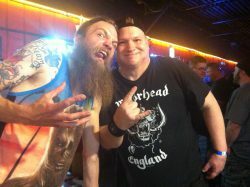 Greg Hampton has taken many very cool chances with Doomsday Revolution and from the sounds of it, he has come away unscathed. The totality of musicianship from The New Czars Greg Hampton, David “Chilli” Moreno and Paul Ill have left an undeniable impression on my ears, an impression that won’t evaporate for me anytime soon. Fans of Industrial Rock/Hard Rock, Progressive Rock genres and Modern Hard Rock/Metal should strongly consider picking up Doomsday Revolution. Guitar enthusiasts are urged to take an earful of what Greg Hampton is playing on this album. Old School Metalheads who are looking for an alternative to single-based genres should be forewarned: you might just get hooked on what this album is all about. From left to right: Paul Ill, Greg Hampton and David “Chilli” Moreno. 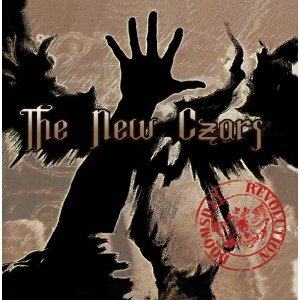 THE NEW CZARS… A WHOLE NEW BREED OF ROCK. 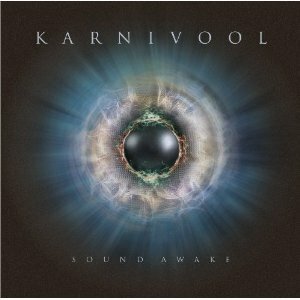 KARNIVOOL – Released on February 16, 2010, on Sony Music Entertainment, Sound Awake has already achieved Gold Certification in Australia, (Karnivool’s home country). Following their impressive and progressively hard & heavy album debut Themata from 2005, Karnivool has shown their fans and the music world they are not about to be stamped out by any sophomore jinx. If life is about taking chances, then Karnivool has inadvertently self inflicted themselves as being risk takers in the vast world of Heavy Music. A Progressive and Alternative sound can be a make or break proposition, when a band wants to embark on the Hard Rock and Heavy Metal Universe. Karnivool has not only embarked with their Themata release from 2005, they have now forged their very own identity and placement, among the Progressive and Alternative Heavy Music battalion with Sound Awake. Sound Awake opens up with Simple Boy, immediately setting the table for what Karnivool is serving one’s ears. Layered with exquisite guitars, the breakdowns are smart and intensely interesting. Throw in the buzzing sound of a bee and Simple Boy is just the beginning of this Heavy Progressive mind buffet. Ian Kenny on lead vocals resonates, hitting some high pitches that are Arena quality. Set Fire To The Hive showcases vocal and sound effects to heighten the modernism that this song permeates. Karnivool never loses sight of their musical heaviness on Set Fire To The Hive, while delivering an upper cut to the chin with their multi-layered progressive attack. The Medicine Wears Off times out at 1:50, quite contrary to any Old School Progressive standards. Just bear in mind, this is not about sticking to convention with Sound Awake, a strong musical characteristic that Karnivool bestows is diversity and The Medicine Wears Off mellows down the pace with this semi-surreal song. Illumine can and rightfully should be a standout song on this album. The consistent up-tempo combined with it’s overall melodic vibe, makes Illumine a song that’s incredibly memorable. To label Illumine a hit is non-essential, this song is a star amongst many on Sound Awake. Deadman is one of two songs on Sound Awake that has a running time of over ten minutes. This is what Progressive Rock is about, the song. If one is looking for the mind journey experience with Karnivool, thou shall not be disappointed with Deadman. Lyrically complete as it is musically precise, Deadman leads with it’s formidable and Alternative vocal presence courtesy of Ian Kenny, which fuses so well with the abstract sound and feel of it’s hard edged music. The abrupt climax to Deadman only exemplifies the artistic style that Karnivool has established for themselves as a band. Listening to Deadman makes me truly realize that Karnivool is all about music and all about the song. To mention Deadman and not acknowledge the other ten minute-plus epic would be a travesty. Change is a song that develops itself into an array of musical doors that keep opening around me, inviting me in and weaving it’s Progressive signatures, in a manner that is embracingly captivating to my senses. It is very easy to wander off into a kaleidoscope of musical thoughts while listening to Change, an all natural affect that I am more than willing to experience again and again. In it’s totality, Sound Awake is a Progressive Kaleidoscope of songs, just waiting to be heard by anyone who loves music… period. The musicians of Karnivool are obviously incredibly astute, with an awareness for capturing the nuances of their instruments in their most enhanced state, coupled with the almost sense of urgency to articulate the music as if it is fine art. Has Karnivool broken any new ground in this ever changing landscape of Progressive Rock genres? I can confidently say yes, with their uniqueness being highlighted by their musical and vocal diversity. Karnivool is not a band concentrating on making the hit single. Instead, Karnivool obviously has succeeded at making a complete album of richly written songs, which only reflects on their being a highly talented band that shall continue to rise. Please excuse me now… Sound Awake beckons me to listen once again. * For more info on KARNIVOOL, just click on the links below! KORN – “KORN III REMEMBER WHO YOU ARE” ALBUM COVER ART AND TRACK LISTING REVEALED! KORN – RoadRunner Records revealed on Friday, May 14, 2010, via their website, the new album artwork for KORN III Remember Who You Are, along with the track listing. KORN III Remember Who You Are will be the ninth studio release from this legendary Nu Metal/Alternative Metal giant. Call it what you will… KORN is still heavy and the Heavy Metal world only gets more muscle bound by their return… in my Metal opinion. 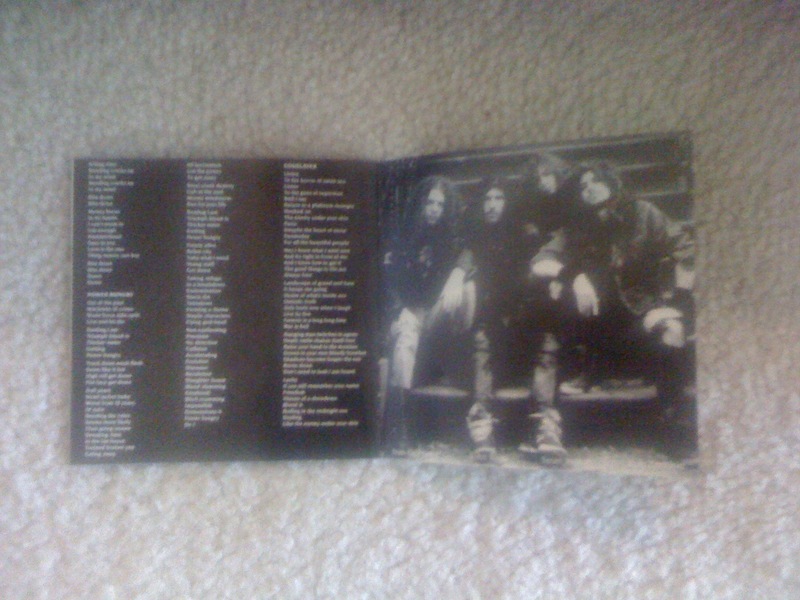 Check out the track listing for KORN III Remember Who You Are below! Also, the new album cover is really chilling… whoa. Leave it to KORN to get into the issues of our society once again! 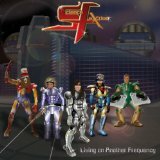 What do you think of this album cover? I’ll tell you right now… it creeps the hell out of me. This album cover speaks volumes for what currently is a societal evil that exists and lurks today, an evil that the world can live without. What else can I say, really, that’s my honest Metal opinion. Leave a comment and get it off your Metal chest! 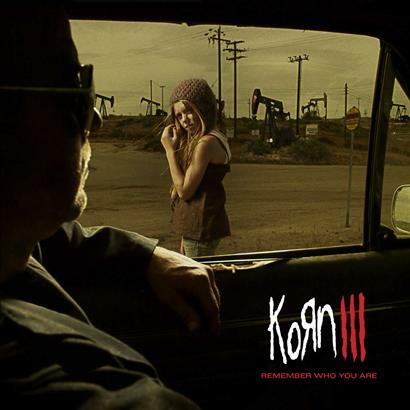 KORN III Remember Who You Are is to be released on July 13, 2010, on RoadRunner Records. POP EVIL – When Metal buddy Ryo Vie over at The Rock and Roll Guru had emailed me, asking if I was interested in going to the Pop Evil and Charm City Devils concert, at Crocodile Rock in Allentown, PA… two Metal thoughts quickly crossed my Metal mind: 1. Cool, I like Charm City Devils very much, 2. Pop who? In the grand Metal scheme of things, it really is impossible to have a pulse on each and every Rock, Hard Rock and Heavy Metal band out there. Throw in the other genres and I’m playing Metal catch up like my cat chasing his tail. I have procrastinated in blabbing about this concert in detail, I did blurb a thought on this night back on March 27, 2010, still, the boss here at Metal Odyssey, (me), says it’s cool. Best damned boss I’ve ever worked for. I need to clear something up here… Allentown, PA, F’n ROCKS. Why you ask? Well, the Crocodile Rock is one good reason. Anyone and everyone from KITTIE to JACKYL with the MISFITS in between comes here. Add in The Great Allentown Fair, (this year RUSH is scheduled!) and it’s can’t miss! Plus, you have the annual MUSIKFEST in our neighboring city of Bethlehem, PA which boasts a bevy of incredible bands of all genres. So… enjoy the Billy Joel classic – Allentown, just understand that it is not a dying city or area of the country. Good people, good music, great place to live and work. Oh, yeah, back to the Pop Evil concert review. Many times, when I am introduced or stumble upon a new and/or younger band, I feel like that Burl Ives Snowman from the iconic Christmas Special Classic created by Rankin/Bass – Rudolph The Red Nosed Reindeer. I believe that pudgy little snowman stated, during this Christmas Special… “ah, youth”. That thought crosses my Metal mind more often now, than during any other time in my Metal life. I’m NOT old, plus I do still look up to patriarchs of Rock and Metal like… Lemmy, Ozzy and Ronnie James Dio, like a little kid with a runny nose. Burl Ives… his music and voice will forever be timeless. As Ryo and I drove up to Crocodile Rock, I was able to pull a “U” turn on the one-way and get a MINT parking spot right across the street from the front door! That’s Metal. Crocodile Rock is a fairly large club, a restaurant is located in the front, with a pool table and plenty of reminders that you are in a blue collar sanctuary. Once you enter the doors to the concert area, there are two large bars and plenty of standing room. Crocodile Rock can accommodate many patrons… that exact amount I won’t try to guess. There had to be at least a couple hundred people there to see Pop Evil and Charm City Devils. If I’m wrong with that figure, who cares. Ryo and I bullshitted and had a few beers while we listened to Charm City Devils. Again, I really like Charm City Devils, Ryo doesn’t care for them too much… it’s alright though, ’cause eventually, one day, I’ll make him into a Cannibal Corpse fan. John Allen, (singer, songwriter and founding member) of Charm City Devils is as legitimate a front man for a Hard Rock band as any. I still say, if Charm City Devils was around in the late ’80’s, they would probably be filling arenas. Those were the days. Overall, Charm City Devils ROCKED, I know I blabbed that before, yet it is my Metal opinion and I’m sticking to it. I would without doubt, go see Charm City Devils again… and again. John Allen worked the crowd pretty good and the band was solid. You see, when I go to a concert, I don’t write down the songs that the bands played. Why you ask? Well, once a couple of beers gets into my system… I’m just not interested in holding a pen and paper. I WANNA GET MY EARS ROCKED! Let’s just say, Charm City Devils played songs from their debut album Let’s Rock-N-Roll, with the title track being my highlight of seeing them live. Step up onto the stage… POP EVIL. Ah, youth. Leigh Kakaty, the lead singer for POP EVIL, was animated, energetic, enthusiastic, dynamic and just DAMN GOOD. As a front man, Leigh is probably one of the biggest stars in the waiting when it comes to Rock and Hard Rock. Aw, heck, Leigh gave these POP EVIL songs an added boost of psyche-you-out fuel during the entire set. Metal be thy name. POP EVIL is Heavy Music diversity personified. From Rock to Heavy Metal, add in the Alternative and Funk ingredients to their musical recipe too. Whoa… I had a real great time watching these guys called POP EVIL. This band had the crowd in front of the stage in their very own, spellbound euphoria. Matt DiRito on bass worked the stage like a seasoned Heavy Metal veteran, he has all the classic moves and poses patented… he can back up his swagger with his playing. Dave Grahs and Tony Greve made for a terrific exchange of guitar licks, real pro’s. Dylan Allison on drums made an impression on me too… no showboating… just playing with real emotion. Not to stray off into the corn dog field of dreams here… yet, POP EVIL is one mighty cool and Heavy band. Greatness is being sown here with POP EVIL… if an opportunity comes your way to see this band, grab ahold of it and experience this band LIVE. * A Metal kudos goes out to POP EVIL for acknowledging their music heroes during their live set… one in particular is the late Dimebag Darrell Abbott of the mightily incredible – PANTERA. Leigh Kakaty had the crowd in a Metal frenzy upon his tribute to Dimebag… then when POP EVIL broke into WALK from PANTERA… it was Metal euphoria for me. To hear a live band such as POP EVIL, pay tribute to such an important Metal band and song, made me realize that the genres of Heavy Music are in good hands for years to come. Ah, youth. Ah, POP EVIL. I’ve jumped on board for the ride… and I’m not getting off. 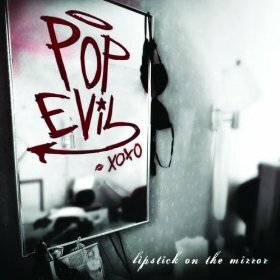 * POP EVIL was supporting their album lipstick on the mirror, released back on August 12, 2008, on Universal Republic Records. 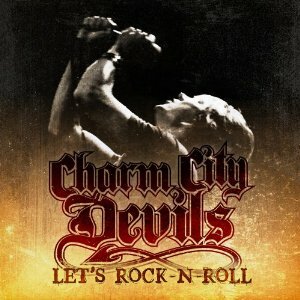 * Charm City Devils was supporting their album Let’s Rock-N-Roll, released on May 26, 2009, on Eleven Seven Music. Thanks Ryo, I’m now a POP EVIL fan. 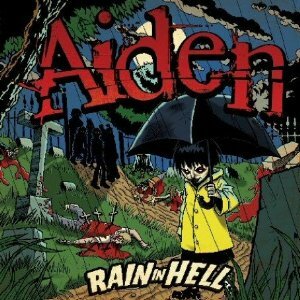 AIDEN – released the EP, Rain In Hell on October 31, 2006, on Victory Records. 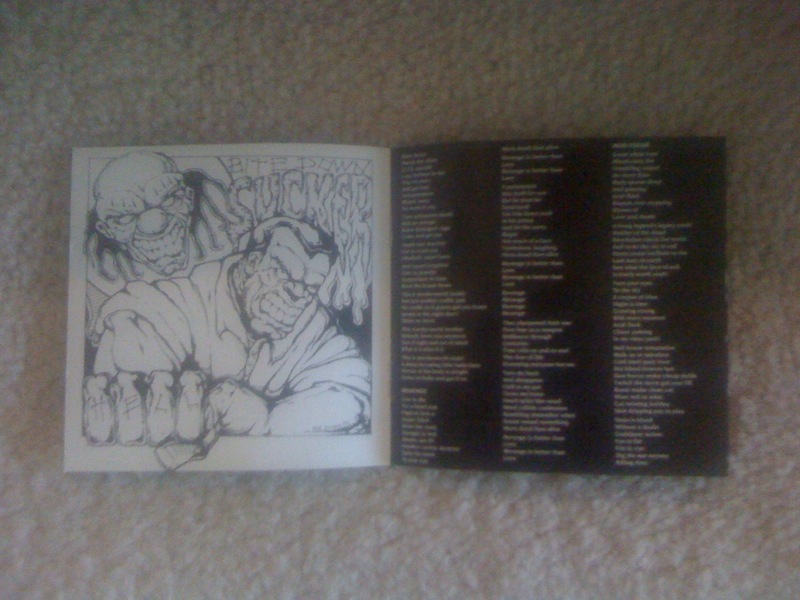 Rain In Hell is a CD/DVD, with 6 songs on the CD. I have always taken a liking to Aiden, they exhibit a menagerie of genres with their music… in essence, Aiden is a Heavy Alternative Rock Band, in my Metal opinion. When Rain In Hell was released, I was thrilled to see they covered a classic Misfits song – Die Die My Darling. Of course the original Misfits version of Die Die My Darling can never be topped, still Aiden does a respectable job at covering this song. The all encompassing Punk and raw sound, with attitude, is captured by Aiden, giving credibility to the reason they covered Die Die My Darling in the first place. Aiden can take a Metal bow for their cover of White Wedding, the incredibly famous Post Punk meets New Wave song, written and recorded by the legendary Billy Idol. White Wedding first appeared on Billy Idol’s 1982 debut and self titled album. Aiden does not try to reinvent the Rock ‘N’ Roll wheel with their cover version of White Wedding, the tempo is stepped up a bit with Aiden’s trademark angst, otherwise it’s an alternate listen that won me over the very first time it invaded my ears. I have to give Aiden credit for tackling both a Misfits and Billy Idol song to cover. To point at both of these cover songs as feature tracks on Rain In Hell is not a falsehood. WiL Francis on lead vocals comes across with Punk Rock legitimacy on the cover songs, making them all the more a credible listen. There are four other songs on this Rain In Hell EP that are Aiden originals. A Candlelight (Intro) is a melancholy and flat out spooky song that runs as an instrumental for the first half of the song, with thunder and lightning atmospherics added in, a chilling theme it is… then WiL Francis steps in with Gothic illuminated vocals, with the lyrical theme about lighting candles and showing the world were all lined up to die, backed up with a Horror Punk chorus chant. Hey, this Aiden CD isn’t called Rain In Hell for nothing! Silent Eyes is an acoustic song that visits the world of extreme depression and complete despair. If you are not familiar with this song, it is not one that you want to play loud, on your first date… you will probably scare away any potential long lasting or even short lasting relationship! Aw, heck, what am I saying? I’m the dude that adores Death Metal and Black Metal… this song lyrically is no stranger to my extreme listening ears. At the end of the Metal day, I like the acoustic guitar paired up with WiL Francis’s emotion filled and alternative laced vocals. We Sleep Forever exemplifies the melodic side of Aiden, while being hard around the edges. The breakdown midway only seems to accentuate this songs lyrical theme of what I interpret as suicide… whether it’s emotional or physical. Aiden touches on the human side of emotion and despair, of a more extreme and delicate topic with We Sleep Forever. These songs were filmed live at House Of Blues in Chicago, IL, during the Never Sleep Again Tour in December of 2006: Knife Blood Nightmare, The Last Sunrise, Die Romantic, I Set My Friends On Fire, World By Storm. Three music video’s included are: Knife Blood Nightmare, The Last Sunrise and Die Romantic. Four live video’s included are: The Last Sunrise, Die Romantic, Unbreakable and I Set My Friends On Fire.